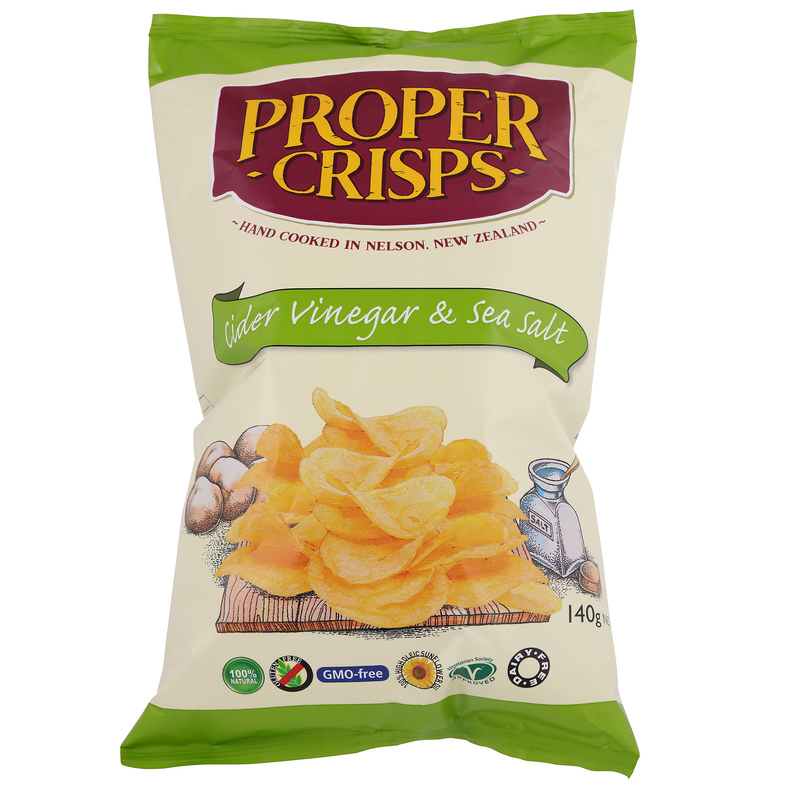 Proper Crisps knows you deserve real food. 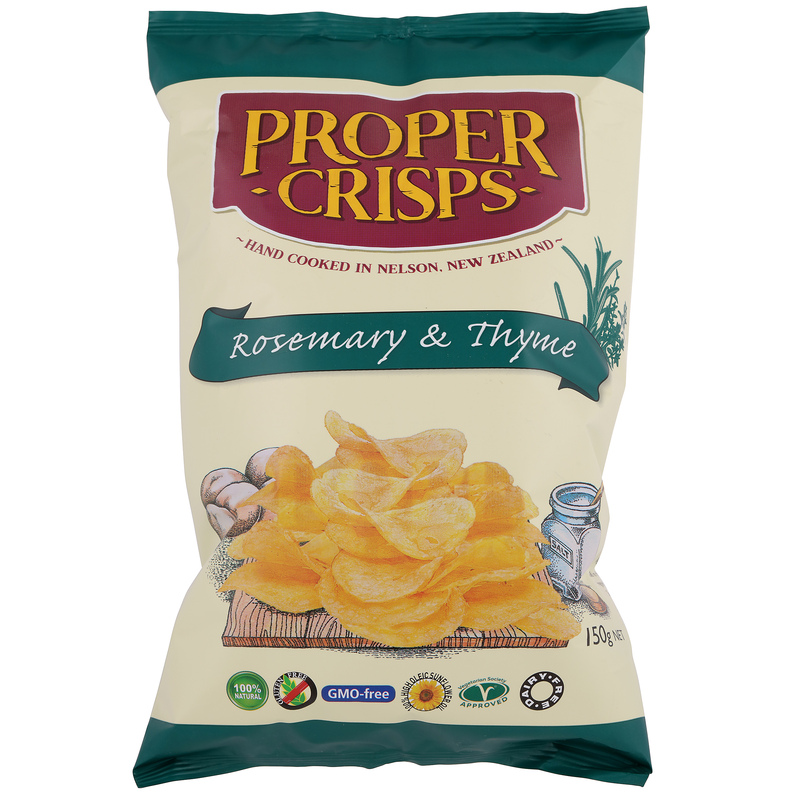 You shouldn’t have to settle for over-processed, artificially flavoured potato chips, you’re worthy of crisps without compromise! And that’s exactly what Proper Crisps deliver. 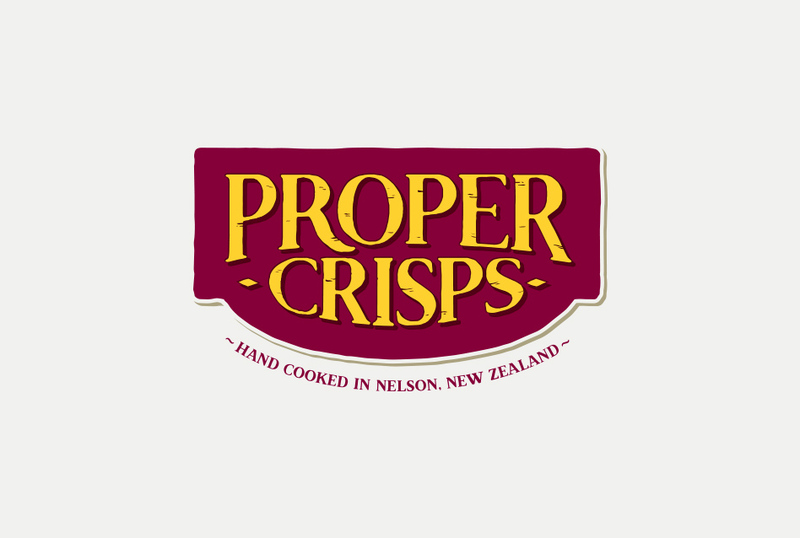 Based in sunny Nelson, New Zealand, Proper Crisps use only the finest kiwi potatoes and garden veggies. 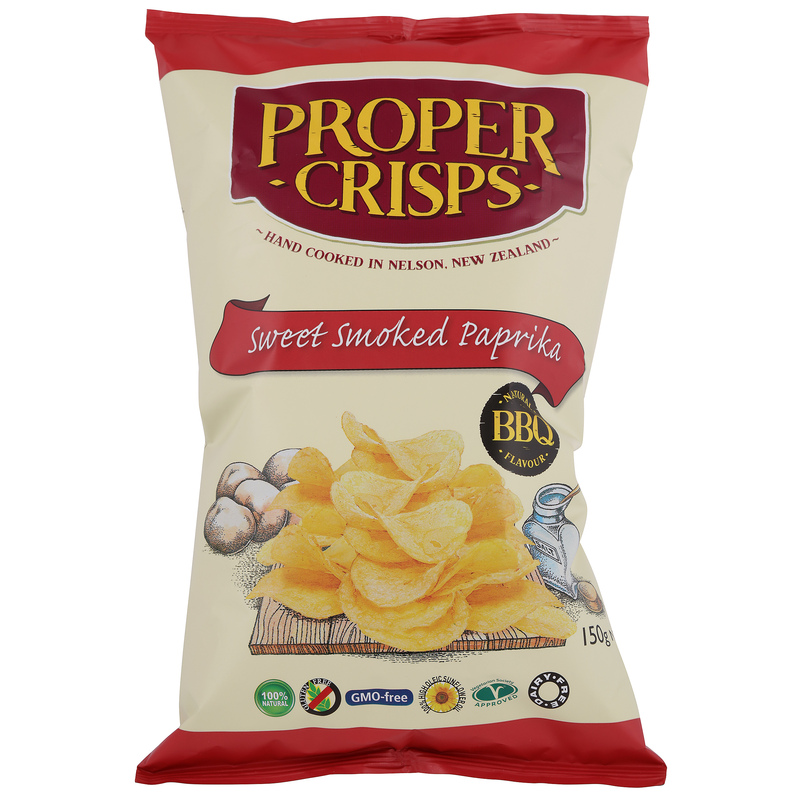 But they don’t stop there – they then cook your crisps in the best quality imported High Oleic Sunflower oil, this smooth operator is high in unsaturated fat, low in saturated fat, and has no trans fats, they don’t accept anything less! The selection process that a potato or garden veggie must go through to reach the ranks of a Proper Crisp is rigorous. The veggies are hand sorted for quality, washed, cut, cooked and hand stirred in small batches, then inspected again as part of their passing out parade…just before the flavour magic happens! 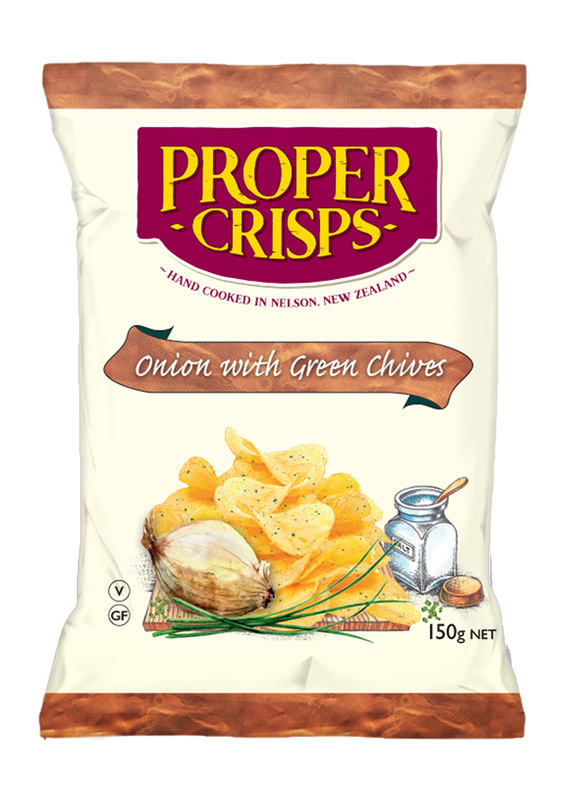 There’s real onion in our Green Onion, real apple cider vinegar in our Cider Vinegar and Salt, and all chips are seasoned with Marlborough Sea Salt. 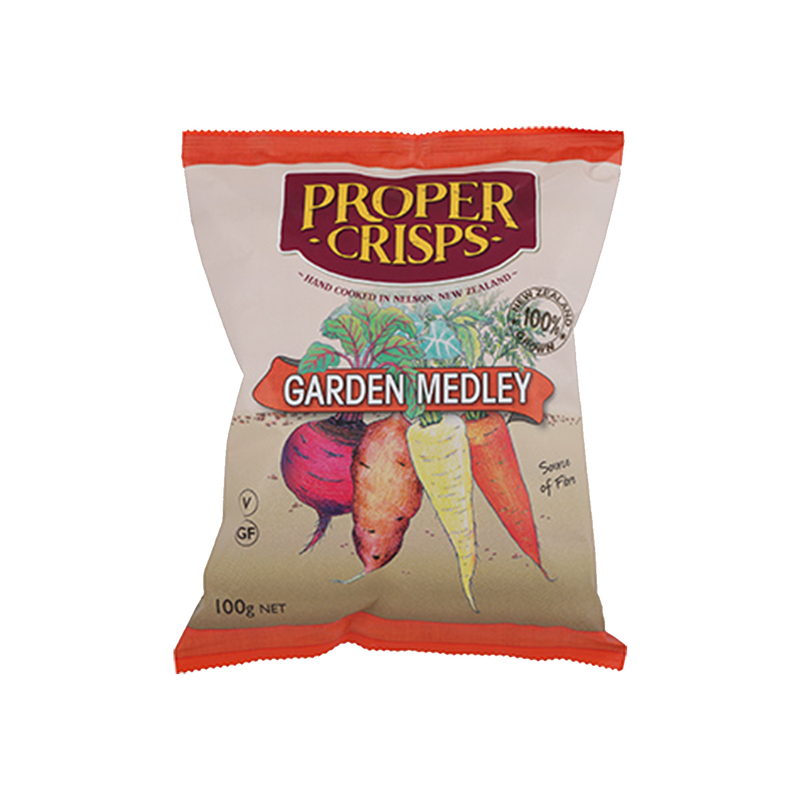 This is the best quality crisp with the best quality ingredients you’ll ever eat – we’re proud to bring Proper Crisps to Australia. Seasoning is ground just before applying for maximum freshness. 100% real natural ingredients – cleanest label chips out there. 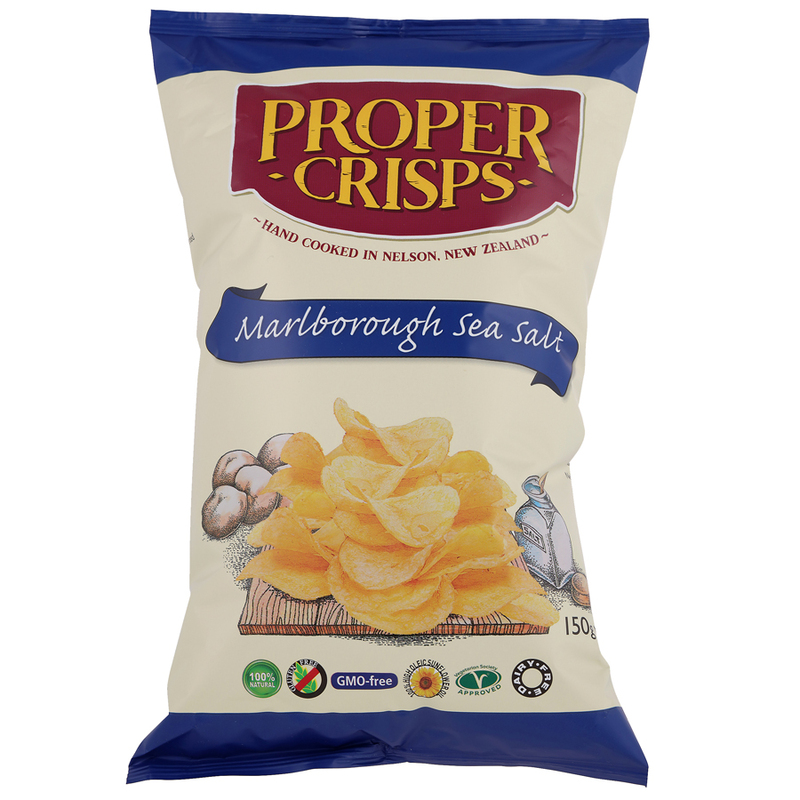 The most delicious crisp on the face of the planet. Gold potatoes used to put a little bit of sunshine in every bag. Fried in high Oleic Sunflower Oil to give the best crisp. Vegan and gluten free, GMO free too.